There’s more than one way to redeem awards points for travel. Following the best strategy, however, can result in a lot more value for your miles or points. Here’s the best and worst way to use your rewards for each major travel category. Finding the right way to use your hard-earned credit card points can be an arduous task. Traveling takes many different forms: it might involve flights, hotels, rental cars, or cruise bookings. In general, flights and hotels are your best bet for earning the most bang for your buck. Let’s walk through each of the major travel categories, highlighting popular travel chains, and showing you how to stretch your points and miles. Purchasing international flights with miles will generate the largest benefit. An international flight can easily run you over $1,000 just flying in coach. When you look at first-class flights, the cost can be several thousands of dollars. The cost makes them ideal for miles redemption. One of these flights, however, is going to cost you a lot of miles. A single flight can easily run well north of 100,000 miles. Be prepared to lose a big chunk of your miles if opting for this route. The luxury provided by a first-class experience when flying for 12+ hours, however, can be worth it! There’s still, however, an argument to be made for domestic flights as a sound redemption. While they’re not the most cost-effective use of your miles, you can stretch 100,000 miles into more than 3 or 4 domestic flights in coach. I recently booked two flights from Raleigh, NC to Miami, FL at a cost of 30,000 American Airlines miles, and return flights to the tune of 25,000 United miles. While those flights aren’t the most expensive if I were to pay in cash, I prefer using my miles for multiple different trips rather than all on one or two. This is all personal preference, and you should know that strictly from a cash value standpoint, business and first-class flights are the most optimal. Hotel redemptions are a bit trickier. They vary so much by location and amenities that comparing options is no simple matter. Even within a specific line of hotels, for example, Marriott, nights can range from 7,500 to 45,000 points based on just the location. Some of the best redemptions can be very dependent on the hotel chain. Wyndham properties, for example, redeem at a flat rate of 15,000 points per night at any property, anywhere. Spending 15,000 on a Days Inn or Super 8 would be silly. Wyndham also has some excellent properties in locations like Boca Raton and Miami, and even all-inclusive resorts in The Bahamas. Finding the best redemption can be tedious, but luckily most hotel chains make things pretty easy for you. Just use the brand-specific site to book and you’ll see dozens of location-based bookings and their associated rates. It might take a bit of cross-referencing with your favorite travel booking website, but you can easily find room rates and hotel reviews to line up something to your liking. Your best bet when it comes to arranging a rental car is to simply use a credit card that provides you with insurance. Specifically, you want a card that offers primary insurance, meaning direct driver coverage on rental cars. American Express cards offer this for a fee. 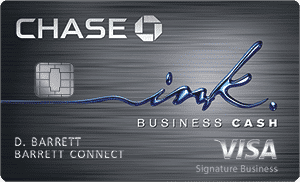 The Chase Sapphire Preferred® Card and United MileagePlus® Explorer Card cards offer primary insurance for free. Redeeming points or miles for a rental car is going to be poor value, no matter how you cut it. I’d suggest saving those points and applying them to nights or flights. When it comes to taking a cruise, your points and miles are probably best spent on flights or hotels to get to your port of call. The unfortunate reality is that redeeming miles or points for cruises just doesn’t get you great value. The best you can do would be something like booking through Chase’s travel portal at a 20% discount. This approach would barely put you at a 1.25x earning rate for your points, which is easily beaten by most flights and hotel bookings. I would strongly recommend instead using those points to take an inexpensive flight to wherever your cruise will be departing from. Alternatively, you could book a stay the night before to make your trip easier. One final thing to keep in mind is that travel partners can make a big impact on your redemption value. Following the recent merger of SPG and Marriott, for example, you can transfer SPG points to Marriott at a 3x rate. This can result in some huge values if you’ve managed to accrue significant amounts of SPG points.Other flexible programs like Chase’s Ultimate Rewards can provide you with significant opportunities, or at the very least, the flexibility to use the airline or hotel chain that you prefer. Other flexible programs like Chase’s Ultimate Rewards can provide you with significant opportunities, or at the very least, the flexibility to use the airline or hotel chain that you prefer.